Your kitchen is often the center of your home. You spend a lot of time there, your family spends a lot of time there, so it’s worth it to have your dream kitchen. What we love: this island! In such a large kitchen, this island adds drama, and brings the room together. Also, the copper hood is to die for! 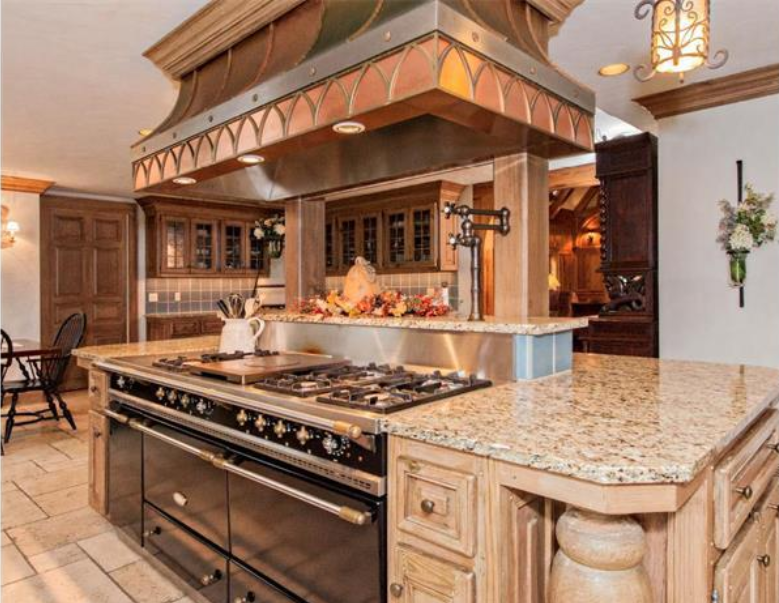 What we love: this oven! Talk about #ovengoals (not sure if that’s a thing — but it is now)! Again with a big kitchen, you can have some fun with how you fill it. 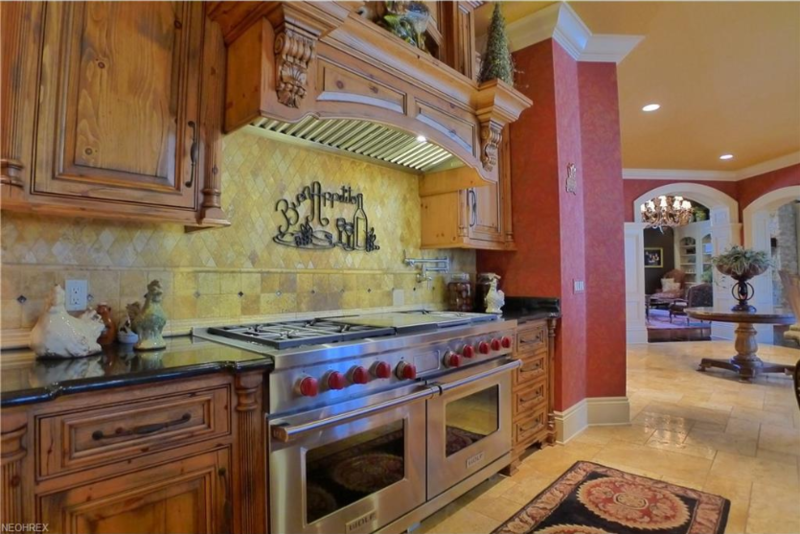 This kitchen is prepped for an expert chef, and is just waiting to be cooked in by its’ new owners! 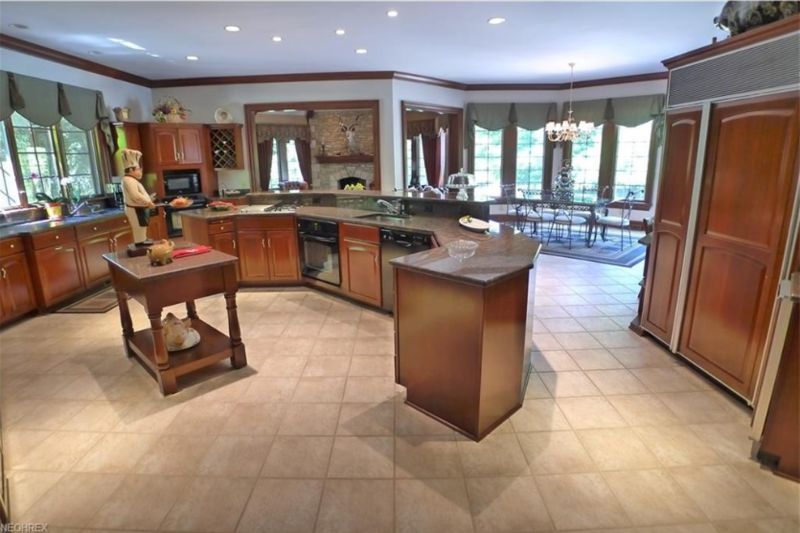 What we love: two things – 1. how open the layout is & 2. the breakfast bar space the island creates. This kitchen opens up into the dining room and another sitting room, demonstrating the nice open floor plan of this home. The island also creates a large breakfast bar. What we love: the contrast and use of color! 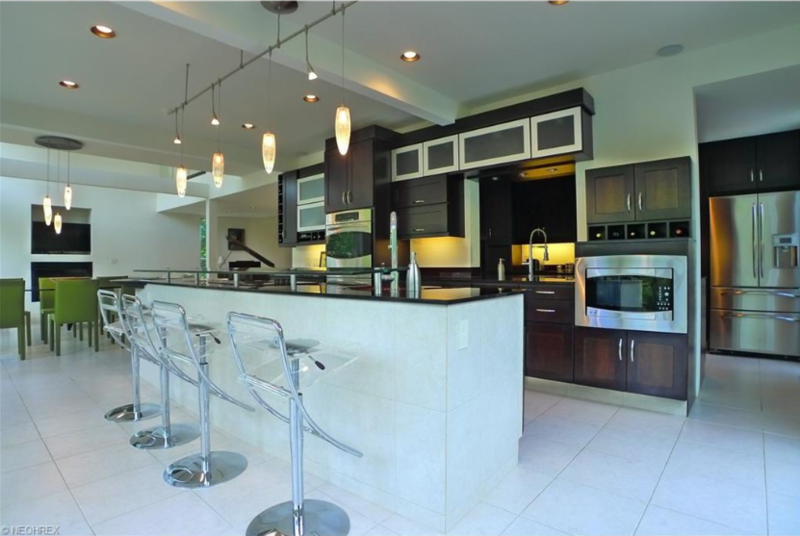 This modern masterpiece in Bratenahl combines the use of light and dark, to make for a sleek, and simple kitchen design. The dark cabinets compliment the light floor and island, and then the green incorporated in the dining set ties the whole room together!